The Seven Sisters Apostolate is devoted to praying for priests. Where else should we go on pilgrimage but to the patron saint of priests? Saint John Vianney awaits us! This special pilgrimage offers daily Masses and Holy Hours at some of the most incredible pilgrimage sites of northern France. God is never outdone in generosity! As providence guided the planning of this pilgrimage, we have managed to arrange visits to the tombs of SEVEN priest saints: St. John Vianney, St. Francis de Sales, St. Claude de la Colombiere, St. Martin of Tours, St. Louis de Montfort, St. Peter Julian Eymard, and St. Vincent de Paul! 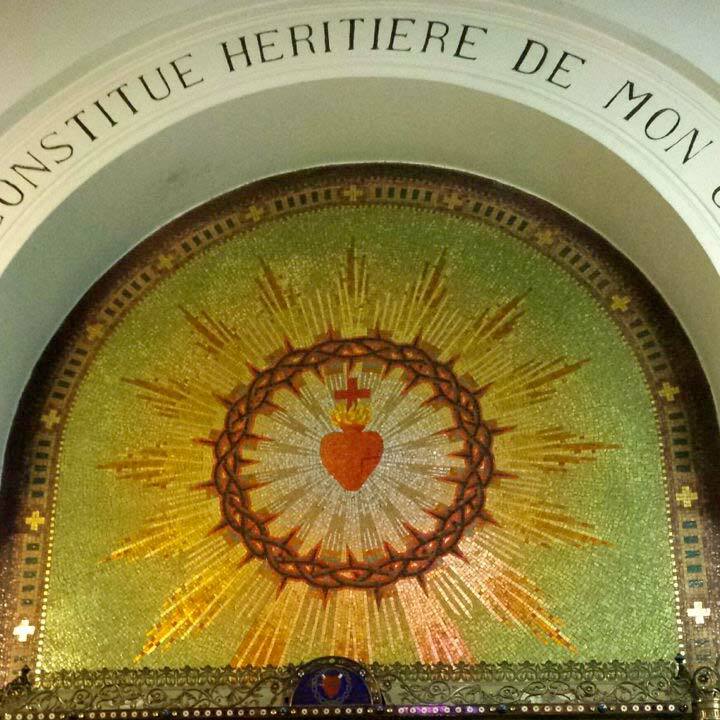 And, we will visit the shrines of no less than SEVEN women saints as well: St. Jane de Chantal, St. Margaret Mary Alacoque, St. Bernadette, St. Jeanne Jugan, St. Therese of Lisieux, St. Catherine Laboure, and St. Louise de Marillac. In addition, we will venerate a major relic of St. Mary Magdalen—one of the special patronesses of our apostolate! We will also experience some of the riches of art, architecture, and history: the prison of early Christian martyrs, marvelous Gothic monasteries and cathedrals, and the D-Day beaches. A little-known Eucharistic miracle from 1331 will be a special bonus! Sign up quickly as we will only be taking one bus. Space is reserved for members of our apostolate—if there are any spots open afterwards, then others may apply. God bless you! Cost is $4,595 per person if paid by credit card. Minimum deposit is $350. For Land Only travelers not requiring air transportation, the cost is $3,495 if paid by credit card. Minimum deposit is $350. To receive a $100 per person discount for either package, all payments must be made by check and mailed to Peter’s Way Tours. To make your tour deposit by credit card, click the button below. To make your tour deposit by check, click the button below. To see the detailed itinerary and travel package details click the button below.